Unit Text: 241 Field Coy. Additional information: Son of Charles W. Milne and Isabella Milne; husband of Doris Milne, of Northstead, Scarborough, Yorkshire. Grave/Memorial Reference: Sec. B. Grave 96. 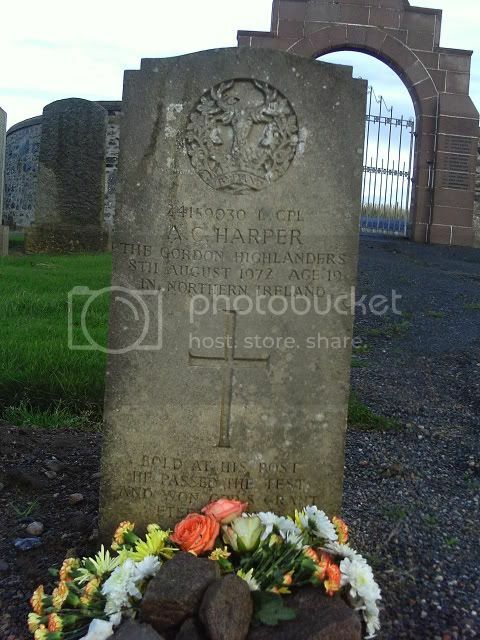 Has Private Harper been added to a local War memorial? He's not on his hometown's memorial of Montrose. The Foveran war memorial is the arched gateway to the cemetery which can be seen in the background of the pictures of the gravestones of Pte Harper and Spr Milne. 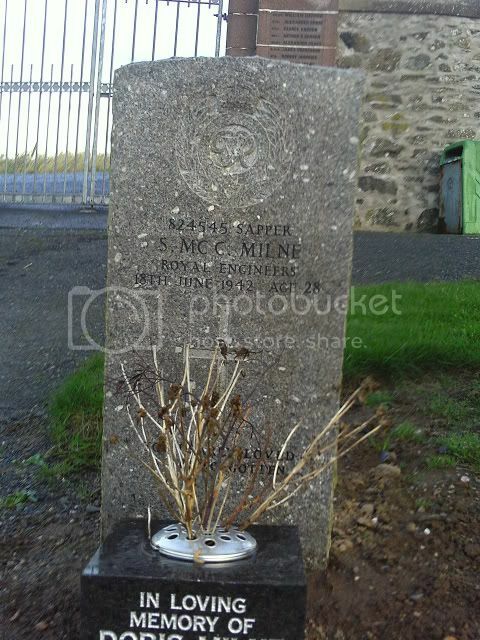 It bears the names of the WW1 and WW2 dead - including Spr Milne - but Pte Harper has not be added.